The hiring process takes time and money. If you've noticed that your employee retention rate isn't where it should be, there are a number of things you can do to improve the situation. 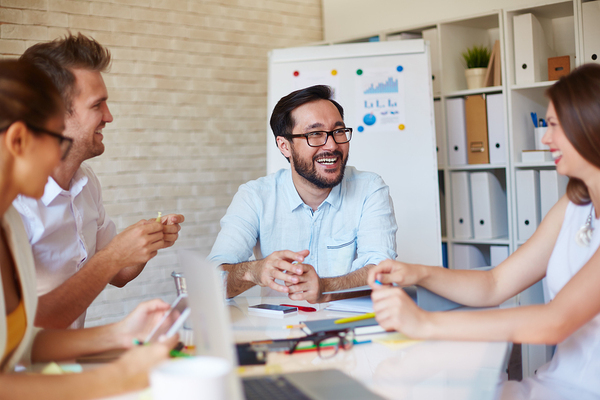 Happy employees make for happy customers, so follow these five tips to help boost employee retention at your small business. A positive work environment will keep your employees productive -- and prevent them from looking elsewhere. One of the chief complaints unhappy employees have is with the style of management that drives the office culture; as a boss, you want to be a leader and mentor, not a dictator. This means listening to employees and being the model of the corporate culture you want to foster -- if you are distant and never present on the floor, your employees will follow your lead. If your employees are left to handle workflow process development and day-to-day tasks, they'll feel overwhelmed much quicker, and you'll miss out on having all of your processes streamlined for efficiency. For example, if your accounts payable staff handles all of their tracking online, while the accounts receivable staff does their tracking with pen and paper, you'll quickly find the lack of communication and different processes will end up with more confusion than results. Instead, you should formalize processes that make it easier for everyone to stay on the same page -- from your business banking needs to your advertising campaigns. 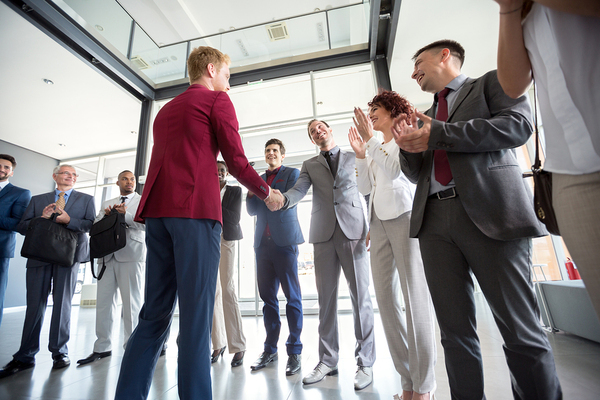 Recognize your employees for the jobs they do -- both on big occasions and on smaller ones. You can praise employees with special incentive programs, but it is more important to actively be involved with the day-to-day business operations so that you can commend employees on a regular basis -- and others can see it. You are the ultimate determinant of your business culture, so it's crucial that you make it supportive and positive. Recognizing a job well done is essential to show employees that you care -- and are paying attention. If you have a workplace environment that employees enjoy coming to, they won't be looking elsewhere for options. This doesn't mean you need to have Facebook's headquarters, but rather that you have anticipated your employees' needs and provide reasonable amounts of comfort. Offer lunch when you can, make sure the coffee is flowing, and provide ample space away from the desk for your employees to convene for breaks. You'll end up with relaxed employees who feel as though the office is a comfortable place to get things done. One of the key factors that will keep your employees around is room for growth within the company. If you are always hiring outside people for jobs that you could instead promote someone within to, your employees will feel trapped in their current positions, and will end up looking elsewhere for new job growth opportunities. Make it clear to employees that you want them to grow with the company, and set a standard of promoting employees within before looking for outside applicants. Growing a small business successfully will be due to the efforts of your employees, so make sure your business processes are streamlined to help keep them happy. Contact us today to learn about our small business solutions and commercial banking services and how they can help your business grow.